Kenya Swimming Federation (KSF) has released a provisional squad of 22 swimmers to the CANA zone three and four Games to be staged in Maputo from April 25. Edward Ilako and Silvia Brunlehner are some of the leading stars for the continental championship in Maputo, Mozambique. Ilako and Brunlehner will swim under the 17-29 age groups where KSF has identified 22 athletes including reserves. Ramadhan Vyombo, Hamdan Bayusuf, Joshua Oruya, Kiptolo Boit, George Kariuki and Abudlmajid Kademani are the pick for the men’s team. Vyombo is the most experienced swimmer in the team having represented the country in high profile events like Commonwealth Games, All African Games and African Championships on several occasions. Timothy Keitany, Eric Karim and Philip Serem are the reserve swimmers in the top category of male swimmers. 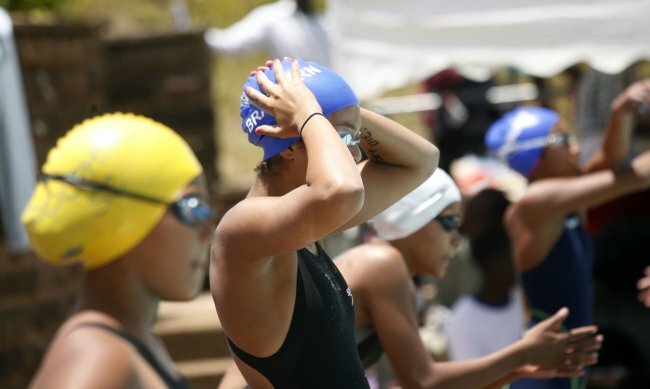 The female category has equally talented swimmers namely: Anlam Salyani, Talisa Lanoe, Camilla Owora, Lorraine Gakuo, Audrey Ramogo and Hanifa Said. Reserves are Whitney Pragassa, Dianne Josiah and Wambui Kibathi are the reserves. Meanwhile, “Variety” was the key-concept of the last day at this year’s National Age-group Open and relay swimming championship that took place last weekend at the Aga Khan High School, Nairobi. Throughout the three-day event, new records, both meet and national, were set with nearly every event; to complete the scenario, the many spectators and young students that filled the stands of the venue were rewarded with excellent swimming. It all started with the girls’ 10-11 years 100 metres freestyle, and the easy triumph of Maria Brunlehner, Mombasa Academy, in a time of one minute 08.64 seconds. Brunlehner was not the fastest on the starting blocks, but took the lead of the short race immediately after breaking the surface of the water. Also impressive was Emily Muteti, who continued with her excellent performance after she won the girls 12-13 years 200m IM gold. Despite diving two seconds behind Anita Field, the 13-year old Mombasa Aquatic Swimming Club swimmer picked up at the breaststroke turn and by the time the girls were on the final freestyle stroke, Muteti was the clear winner, retuning 2:38.84. Field came second in 2:43.56. The humble girls said swimming is fun and she tries her best at all times. “Although I am in it to win, enjoying the sport is just as important,” she said. Her tough training regime held her in good stead during the gala. She trains three mornings a week for at least one-and-half-hours before school. This is followed by afternoon training session of between two-hours and two-and-a-half hours, five days a week. Quite thrilling was the girls 100m Individual Medley, where Anita Field destroyed the waters in a meet record of 1:11.85.